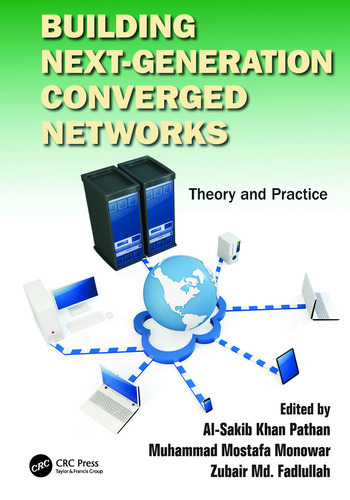 Supplying a comprehensive introduction to next-generation networks, Building Next-Generation Converged Networks: Theory and Practice strikes a balance between how and why things work and how to make them work. It compiles recent advancements along with basic issues from the wide range of fields related to next generation networks. The text includes coverage of Internet architectures and protocols, embedded systems and sensor networks, web services, Cloud technologies, and next-generation wireless networking. Reporting on the latest advancements in the field, it provides you with the understanding required to contribute towards the materialization of future networks. 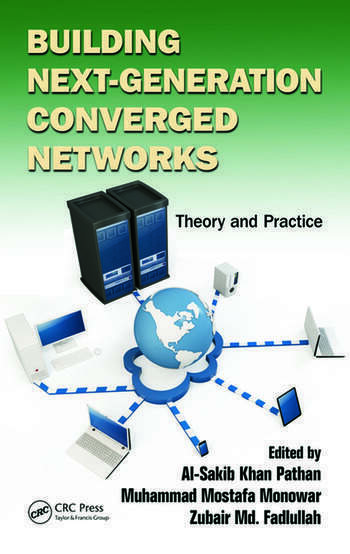 This book is suitable for graduate students, researchers, academics, industry practitioners working in the area of wired or wireless networking, and basically anyone who wants to improve his or her understanding of the topics related to next-generation networks. Al-Sakib Khan Pathan received his PhD in computer engineering from Kyung Hee University, South Korea, in 2009 and his BSc degree in computer science and information technology from the Islamic University of Technology (IUT), Bangladesh, in 2003. He is currently an assistant professor at the Computer Science Department in the International Islamic University Malaysia (IIUM), Malaysia. Until June 2010, he served as an assistant professor at the Computer Science and Engineering Department in BRAC University, Bangladesh. Prior to holding this position, he worked as a researcher at Networking Lab, Kyung Hee University, South Korea, until August 2009. His research interests include wireless sensor networks, network security, and e-services technologies. He is a recipient of several awards/best paper awards and has several publications in these areas. He has served as a chair, organizing committee member, and technical program committee member in numerous international conferences/workshops like HPCS, ICA3PP, IWCMC, VTC, HPCC, IDCS, etc. He is currently serving as the editor-in-chief of the International Journal on Internet and Distributed Computing Systems (IJIDCS), an area editor of IJCNIS, editor of IJCSE, Inderscience, associate editor of IASTED/ACTA Press IJCA and CCS, guest editor of some special issues of top-ranked journals, and editor/author of six books. He also serves as a referee of some renowned journals. He is a member of the Institute of Electrical and Electronics Engineers (IEEE), USA; IEEE ComSoc Bangladesh Chapter; and several other international organizations. His email address is sakib.pathan@gmail.com. Muhammad Mostafa Monowar is an assistant professor at the Department of Information Technology in King Abdulaziz University, Kingdom of Saudi Arabia. He is also an associate professor (on leave) at the Department of Computer Science and Engineering in the University of Chittagong, Bangladesh. He received the PhD degree in computer engineering from Kyung Hee University, South Korea, in 2011 and the BSc degree in computer science and information technology from the Islamic University of Technology (IUT), Bangladesh, in 2003. His research interests include wireless networks, especially ad hoc, sensor, and mesh networks, including routing protocols, MAC mechanisms, IP and transport layer issues, cross-layer design, and QoS provisioning. He has served as a program committee member in several international conferences/workshops like IADIS, DNC, IDCS, etc. He is currently serving as an associate editor of the International Journal on Internet and Distributed Computing Systems (IJIDCS) and a guest editor of some special issues of IJCSE. His email address is hemal.cu@gmail.com. Zubair Md. Fadlullah is an assistant professor at the Graduate School of Information Sciences (GSIS), Tohoku University, Japan. He also served as a computer science faculty member at the prestigious international Islamic University of Technology (IUT) in Bangladesh. He is a member of the IEEE and ComSoc. He is also a member of the Japanese team involved with the prestigious A3 Foresight Project supported by Japan Society for the Promotion of Science (JSPS), NSFC of China, and NRF of Korea, which comprises prominent researchers in the field of networking and communications from the mentioned countries. Dr. Fadlullah holds a PhD in applied information sciences, which he obtained in March 2011 from Tohoku University. He has a noteworthy contribution toward research community through his technical papers in scholarly journals, magazines, and international conferences in various areas of networking and communications. Dr. Fadlullah has been serving as a technical committee member for several IEEE GC, ICC, PIMRC, WCNC, and WCSP conferences for a number of years. He is an associate editor of the International Journal on Internet and Distributed Computing Systems (IJIDCS) and a co-editor of the Special Issue (SI) on Wireless Networks Intrusion in Journal of Computer and System Sciences (Elsevier). He was a co-chair of the invited session on Smart Grid in WCSP’11. Furthermore, he has also been actively engaged in helping editorial members of prestigious IEEE transactions (including TVT, TPDS, TSG) to manage and delegate reviews in an efficient manner. His research interests are in the areas of smart grid, network security, intrusion detection, game theory, and quality of security service provisioning mechanisms. Dr. Fadlullah was a recipient of the prestigious Deans and Presidents awards from Tohoku University in March 2011 for his outstanding research contributions. His email address is zubair@it.ecei.tohoku.ac.jp.